Expanded and upgraded harbour infrastructure in sub-Saharan Africa is set to boost trade and development potential. 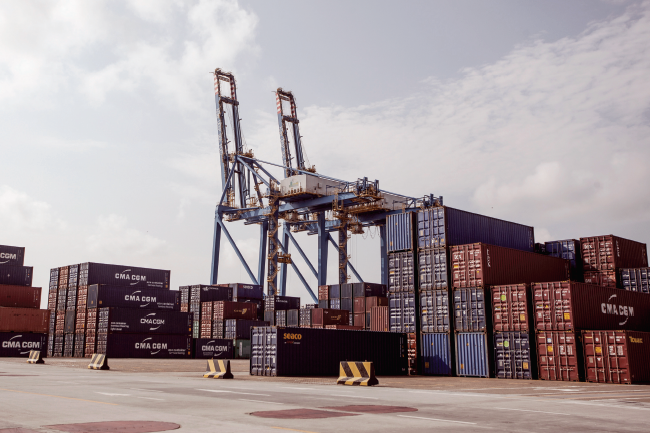 The ports in Abidjan, Côte d’Ivoire; Durban, South Africa; and Mombasa, Kenya, are likely to become major hubs in sub-Saharan Africa, PwC states in a recent report on strengthening Africa’s gateways to trade. The firm also compares these ports to the likes of Rotterdam and Antwerp for Europe, New York and Los Angeles for North America, and Singapore and Shanghai for Asia, noting that the African ports are likely to become progressively more sophisticated, thanks to their ancillary supporting infrastructure, such as air links and nearby highway networks. 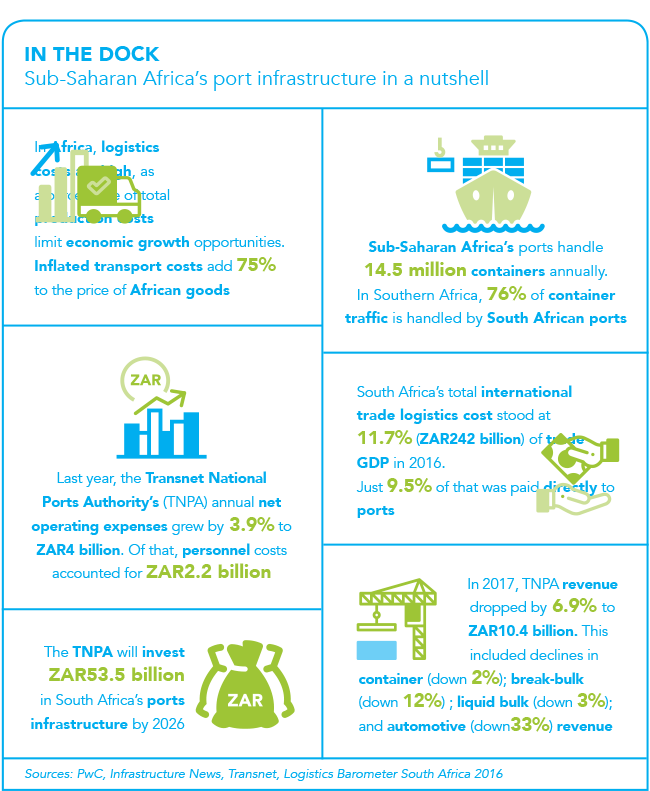 Most ports in sub-Saharan Africa are operated by governments and Transnet, a major state-owned enterprise in South Africa. Transnet has invested heavily – and indeed continues to do so – in port and freight infrastructure, having in the 2017/18 financial year spent close on ZAR2 billion in maintenance and the acquisition of cranes, tipplers and dredgers for South African ports. It is scheduled to spend more than ZAR84 billion between 2017 and 2020 on increasing the capacity of the country’s ports and railways. Namport in Namibia has two key mega-projects under way at the Port of Walvis Bay, namely the Walvis Bay North Port development and the new container terminal. The North Port project involves developing a 1 330 ha plot of virgin land into cargo-handling terminals. The project comprises six phases – a petroleum product liquid bulk terminal; an LNG gas terminal; a multi-purpose dry bulk terminal; a ship and rig repair facility; the Botswana coal terminal; and a dig-out basin. According to Namport, one of the reasons for this extensive construction is that, should commercially extractable oil be discovered off the country’s coast, the current port would not be able to accommodate the associated requirements. The Port of Walvis Bay is also getting a new container terminal, one that will have two large berths for accommodating two container vessels at once. The new terminal has been made possible by the dredging and reclamation of 40 ha offshore in the port. It will be linked to the existing port land by a 106m wide solid access causeway, which will also be reclaimed. The new terminal will be connected to the existing port’s road network, rail network, utilities networks and communication systems, and will have a minimum throughput capacity of 750 000 TEUs per annum. The project is on schedule for completion of most of the works by end-2018, with minor works to be completed early next year. Tanger-Med Port in Morocco is a key player in the global logistics industry, ranking 45th in the world’s top 50 container ports worldwide (out of about 500 container ports around the world). The complex consists of Tanger-Med 1, with two container terminals, a railway terminal, a hydrocarbons terminal, a goods terminal and a vehicle terminal; the soon-to-be-completed Tanger-Med 2, with two container terminals; Tanger-Med passengers port; Tanger-Med port centre; and MEDHUB, a 50 ha logistics free zone. On an African level, Tanger-Med 1 is the leading container port, having handled 3 312 409 TEU containers in 2017, 11% above nominal capacity. The opening of the Tanger-Med 2 Port in 2019 will add an additional handling capacity of 6 million TEUs, bringing Tanger-Med Port complex’s total handling capacity to 9 million TEUs. In Ghana, Tema Port is undergoing major expansion work to the value of US$1.5 billion to triple its handling capacity to 3.5 million TEUs. The expansion forms part of the wider development plan of Ghana Ports and Harbours Authority, which includes a 35-year concession agreement signed in 2004 for the port’s refurbishment, and the upgrade of the Accra-Tema highway into a six-lane road to better service the port area. The project involves the reclamation of approximately 120 ha from the sea, as well as the construction of a 1.4 km-long quay wall with a 4m-deep berth to accommodate larger vessels with lengths of up to 360m. A 3.85 km breakwater facility with a port access channel – 19m in depth and a 250m width – will also be developed. In addition, a railway terminal to transport containers to and from the port, as well as workshops, offices and equipment such as ship-to-shore cranes and gantry cranes, are outlined in the refurbishment plans. The container terminal facility, which is part of the first phase of the project, is expected to be completed by mid-2019. In Nigeria, at the heart of the Lagos Free Trade Zone is the multi-purpose, deepsea port, Lekki. By the time upgrades to the facilities are done it will be one of the region’s most modern ports, supporting the growing trade across Nigeria and the West African region. Due for completion by 2019, this visionary project will result in a throughput of 2.7 million TEUs per annum, as well as capacity to handle 4 million tons of dry and 1 million tons of liquid bulk cargo. 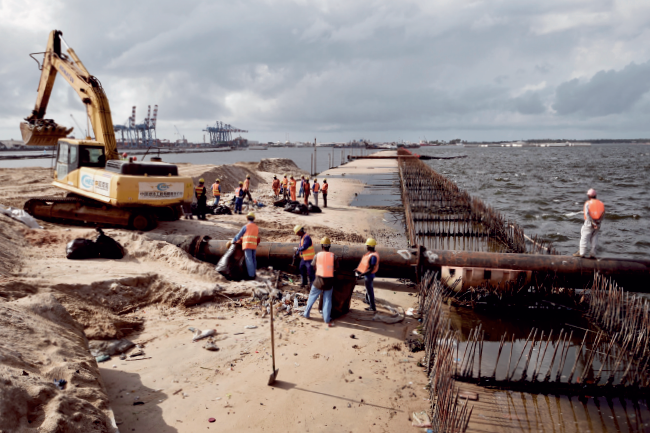 At the San Pedro container terminal in Côte d’Ivoire, expansion efforts are well under way. San Pedro Port and MSC have signed a 35-year concession agreement for the expansion of the container terminal. On completion, this state-of-the art development will allow the port to handle cargo vessels of up to 14 000 TEUs and benefit from new shipping technologies – facilitating trans-shipment operations and generating more development opportunities. Some 70 km west of Algiers in Algeria, a new US$3.5 billion port and several industrial zones are being developed at El Hamdania. The port has received US$900 million of funding by the AfDB. Once completed, it will provide capacity of up to 6.3 million TEUs annually, across 23 berths. Construction is under way, with the first berths scheduled for completion in 2021. In August 2018, the Kenya Ports Authority awarded Maritime & Transport Business Solutions (MTBS) a contract to plan for the development of 11 ports in the East African country. MTBS says work will include technical studies regarding the current situation in the ports, trade forecasting, selection and development of the most appropriate sites, financial feasibility, economic feasibility, environmental impact assessment, master planning and implementation planning. Also in Kenya, Mombasa will soon be building a new container terminal. Expecting its current 1 million TEU annual throughput to double by 2020, a new 1.2 million TEU container terminal has been planned for the port, which recently expanded its existing container terminal. Earlier this year, it was announced that Ethiopia would be taking a stake in Port Sudan. The deal was reached at a meeting between Ethiopian Prime Minister Abiy Ahmed and Sudanese President Omar al-Bashir. In addition, Ethiopian diplomats and Kenyan leaders announced an agreement to give Ethiopia a lease at Kenya’s new Lamu Port for logistics purposes, with both countries agreeing to improve the road and rail links between Addis Ababa and the Kenyan border as part of this. In its African ports report, PwC urges African governments to improve port facilities, arguing that the upgraded infrastructure will boost the continent’s trade potential for export. Hartwell agrees that development of port and corridor infrastructure is a critical driver of local, regional and continental trade. ‘Countries that do not invest now will be left behind. The opportunities will be multiplied by those countries that have signed the African Continental Free Trade Agreement, which aims to eliminate import duties and non-tariff barriers and create a single continental market,’ he says. Although 49 out of 54 African countries had signed the agreement by the end of September 2018, it is only a matter of time before more of them join in recognition of the fact that trade drives revenue, development and opportunities, and that it cannot take place without proper port and infrastructure development, adds Hartwell.